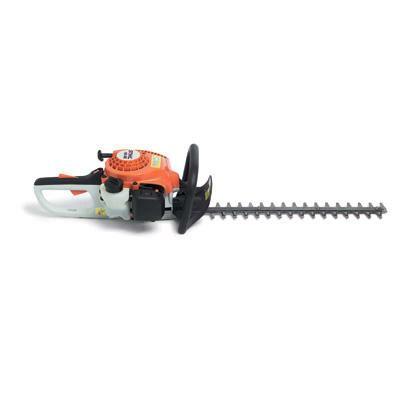 OVERVIEW: The HS 86 gas hedge trimmer features a 30" double-action, single-sided blade designed to be faster, lightweight and with low vibration levels with increased torque for cutting shrubs up to 1" thick. Additional features include a centrifugal clutch and a fingertip throttle. UTILIZATION: Weight: 5.2 kg (11.5 lbs.). * Please call us for any questions on our trimmer hedge gas 24 inch 30 inch rentals in Tualatin and Eugene, serving the Portland Metro area, Eugene/Springfield Metro area, Oregon, and SW Washington.